What is the price? The question almost all of us ask before we make our buying decision. Is the price right? That we do not know. But we want to see the price. Hence there are posted prices everywhere you go. 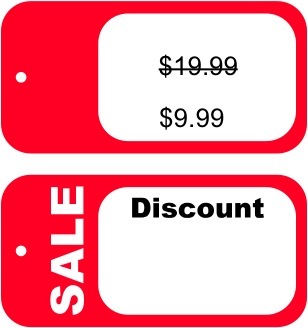 Marketers present prices and let the customers decide. No surprises. Withhold the price information until after the customer consumed your product you are bound to shock them. We saw this with Uber’s dynamic pricing during New Year’s eve. We also see this in case of restaurants that charge “market prices” for their daily specials. So we see published prices for everyone to see. We see several visual clues to tell us that the price is a “steal”. There are multiple price stickers, sales stickers, discount stickers. After all these, there is still one price – one price offered to everyone willing to make the purchase. It is easier to see that in case 3 you are giving away too much and hence losing out on profit. In case 2, as long as you can produce the gadget cheaper than the lower price the customer is willing to pay you are missing out on that profit (however small it is). By showing the same price to all you give up on these two profit streams. If only you can show different prices to different individuals. Their own price that others cannot see. That is the holy grail of perfect price discrimination – First Degree Price Discrimination. But we do not walk around with the prices we are willing to pay pasted on our foreheads, nor can a marketer show the price to one but not to others. 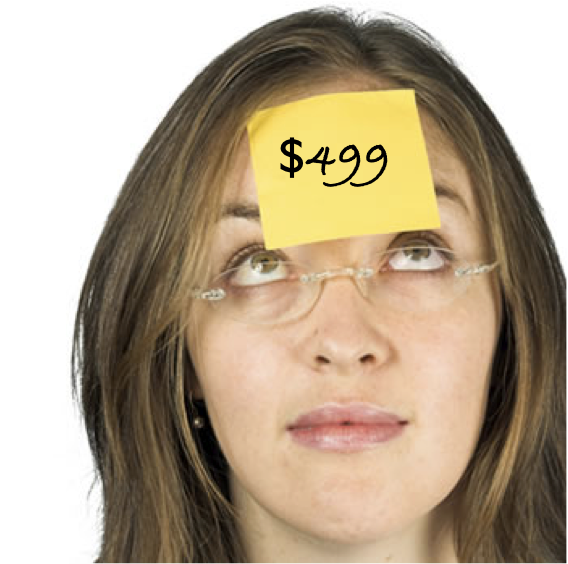 What if we are indeed walking around with the prices we are willing to pay pasted on our forehead? Well not quite but close. We may be doing close to that with our real life and online social media behavior. We saw discounts on our insurance for our real life behaviors. We have seen cases where Capital One was showing different interests rates based on your web browser. The next step is to not quite unimaginable. It is indeed possible to feed your Likes, Status messages, Photos, Locations, Friends etc into an algorithm that can give with reasonable certainty your willingness to pay for different goods. The second part of the puzzle is how can that price be shown only to you? The disruptions that are happening in the form of mobile payments and app based purchases are addressing that. You can see how easy it is to do that for online purchases. It is not a stretch to extend that to offline brick and mortar store purchases. Your price is shown only when you scan the barcode or read the RFID with your mobile wallet. Everyone sees their price, that no one else can see. Taking us closer to perfect price discrimination. It does not end there. Customers’ willingness to pay is not a fixed number. It is malleable. Once customers open their mind a little through their social media behavior, they are are also opening a control channel to the marketers. A channel that will help the marketers nudge customers to pay a higher price than what they would have otherwise would have paid. It is a brave new world. World with NO price tags, price lists, pricing pages and posted prices of any kind. As a marketer, rejoice. As a customer, be worried. This article changed my life. It is otherow my best argument when I try to explain why I (and we) should try to resist profiling. This kind of a pricing strategy will kill businesses. Just dial, India adopts a similar strategy. They are not clear about their prices. The first guy comes up with a plan which has the same features of the second marketer only diff price. It took me 3 months to make a call and sign a deal. This is a very shady thing. Customers will share what they pay for a product and if they find that others paid less for the same product, they’ll feel deceived just like I felt about Just Dial. I for one want pricing plans to be simple, limited in options and uniform to the majority of the market (leaving the volume buyers or upsale etc).